İstanbul’s 1st Penal Court of Peace on Thursday issued a warrant for the detention of journalist and author Ahmet Altan after he was released from custody earlier in the day. After spending 12 days in detention Ahmet Altan was released under judicial supervision, while his brother, journalist and academic Mehmet Altan, was arrested by an Istanbul court early on Thursday. The detention warrant issued by the İstanbul 1st Penal Court of Peace also mentioned that he is accused of being the former editor-in-chief of the Taraf daily, which was recently shut down by the government. The court ordered Altan to appear at the İstanbul Public Prosecutor’s Office within 24 hours. According to the P24 news portal, Altan announced that he would go to the İstanbul Courthouse in Çağlayan within 24 hours to surrender. Altan was already facing an international travel ban and was also required to report to a nearby police station once a week. 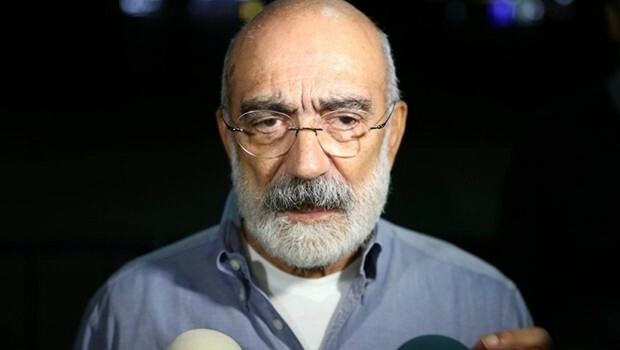 Both Mehmet Altan and Ahmet Altan, who were detained on Sept.10, were accused of sending “subliminal” messages regarding a failed coup attempt on July 15 on a TV show a day before the putsch. Turkey survived a military coup attempt on July 15 that killed over 240 people and wounded more than a thousand others. Ahmet Altan is a novelist and former editor-in-chief of the Taraf newspaper. The daily ran headlines that led to the Ergenekon and Balyoz coup plot investigations, which helped the Justice and Development Party (AKP) government subdue the role of the military in Turkish politics. After quitting Taraf, Altan resumed writing harsh critical columns against the increasingly authoritarian AKP government and President Erdoğan. Mehmet Altan, an economics professor at İstanbul University, is also a columnist known for his liberal views and criticism of the government amid increasing and unprecedented pressure on the media and dissidents. He was recently targeted by pro-Erdoğan columnist Hilal Kaplan for not being dismissed from his position at the university at a time when hundreds of academics and teachers were being expelled from their posts as part of an investigation into the failed coup attempt.